A professed Southern Gothic, alt-country blues singer/songwriter based in Johnson City, TN, Amythyst Kiah’s commanding stage presence is only matched by her raw and powerful vocals—a deeply moving, hypnotic sound that stirs echoes of a distant and restless past. Accoutered interchangeably with banjo or acoustic guitar, Amythyst’s toolbox is augmented by her scholarship of African-American roots music. Provocative and coolly fierce, Amythyst Kiah’s ability to cross the boundaries of blues and old-time through reinterpretation is groundbreaking and simply unforgettable. Join Music Road CO, a cooperative of common creative companions conspiring to command your cognitive locomotion. This crew digs through a wide and deep catalog of tunes and musical traditions to get you groovin’ and your hip bones movin’!! Moving fluidly from funk to reggae, rock to afrobeat, their sound bounces from blues and soul to island dance and back again, bound together by one common ideal: Music should feel good and spread positive vibes. They get on stage to lift themselves up to a higher frequency and they won’t stop until they bring the entire audience with them! Jeff Little's distinctive two-handed style, much influenced by the mountain flat-picked guitar tradition, is breathtaking in its speed, precision, and clarity.​ ​Little’s involvement with fiddle tunes, old-time country, and traditional blues dates to his growing up in Boone, North Carolina, where his family, owned a music shop. The shop was a regular gathering place for musicians who would just stop by to pick a few tunes. At an early age, Jeff would regularly sit in with many of the musicians from the region, including one of America’s most influential musicians: Doc Watson. These influences helped shape Jeff’s approach to the piano which is based on these deep musical traditions. But there is also an echo of more contemporary mountain tradition in Jeff’s performances. Illumination, who brought audiences Despicable Me and the biggest animated hits of 2013 and 2015, Despicable Me 2 and Minions, continues the adventures of Gru, Lucy, their adorable daughters-Margo, Edith and Agnes-and the Minions in Despicable Me 3. Joining Steve Carell and Kristen Wiig in Despicable Me 3 is Emmy, Tony and Grammy Award winner Trey Parker, co-creator of Comedy Central's global phenomenon South Park and the Broadway smash The Book of Mormon. Parker voices the role of villain Balthazar Bratt, a former child star who's grown up to become obsessed with the character he played in the '80s, and proves to be Gru's most formidable nemesis to date. Whether its’ rock, folk, country or blues, Darrell Scott, the 4-time Grammy nominated Nashville songwriter, has written hits all the way from Brad Paisley and the Dixie Chicks to Del McCoury, Sam Bush and Keb Mo; contributing songs to three of 2016’s best albums alone. Witness his ability to make just about any instrument talk, listen to his vocals and songwriting to hear him contain every emotion between joy and pain within one verse in his singing and in his pen. For this show, Darrell puts together an stellar band of musical collaborators including Shad Cobb, Bryn Davies and Matt Flinner! FloydFest is a world music and arts festival held annually near Floyd, Virginia, in the Blue Ridge Mountains just off the Blue Ridge Parkway. 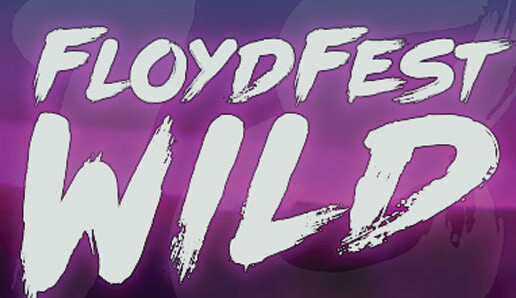 The Floyd Small Town Summer & The Town of Floyd are excited to collaborate again with Floyd Fest 2018. This FloydFest Soundcheck, features two bands, South Hill Banks & Los Chupacabras. Join us July 19th and get warmed up for FloydFest Wild 2018. 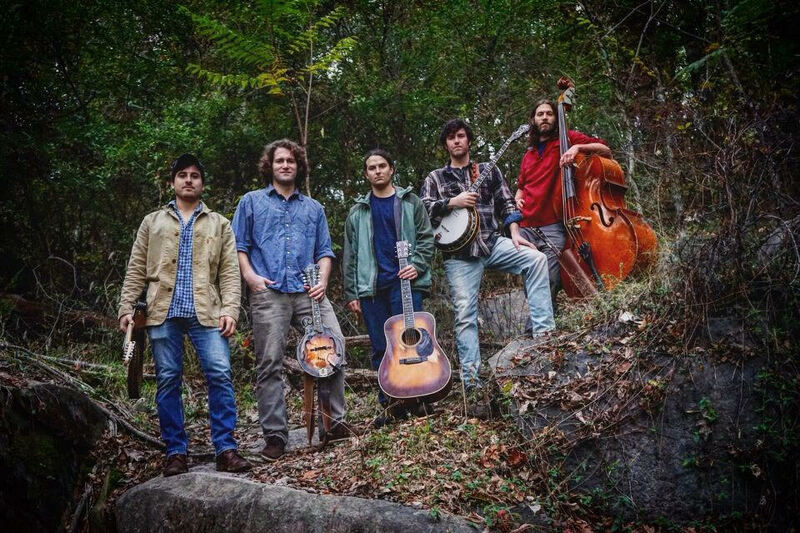 Lance Thomas (vocals, guitar), Eric Horrocks (mandolin, vocals), Ryan Horrocks (banjo), Dan Fiasconaro (guitar, vocals), and Matt Eversole (upright bass) – have carved a niche for themselves with their jam infused bluegrass sound. Formed in August 2015 in Richmond, Virginia, South Hill Banks pulls from a wide range of influences such as classic rock, jam, blues, to traditional bluegrass to keep audiences entertained with a blend of sounds old and new. Lurking in the Blue Ridge Mountains is an eclectic herd of friends that go by Los Chupacabras. Inspired by the mythical creature, this ensemble of talented players sprung from the misty hollows steeped in mystery and mayhem. One lone chupacabra is to be feared but together, they synchronize a whole new beast of rhythm. If you’re lucky, you may be able to spot them late in the night, holding down a blend of reverb-soaked surf, psychedelic, exotica, and cinematic music. 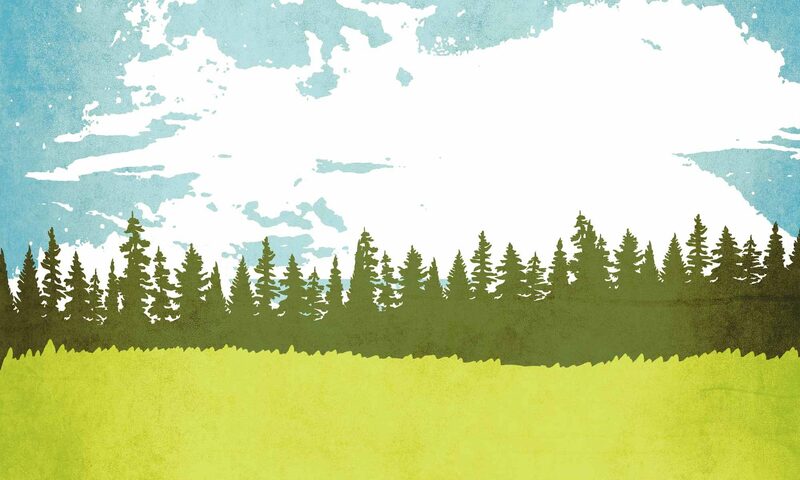 If you missed Kari's grand CD release concert last fall, here's your chance to be a part of the buzz in the spacious outdoors of The Warren G Lineberry Park. Kari has bumped her favorite songs up to the highest level in her album It's You I Like with horns, piano, drums, and so much more. Floyd kids take the stage for their solos, and the audience gets to participate with stomps, jumps, growls, and a train Bear trip around the park. Vivian Leva’s voice is the sound of living tradition. Raised by parents who absorbed ancient tunes and ballads during visits to legendary old-time musicians, Leva grew up steeped in the Appalachian and country music of her Lexington, VA home. Her new record, Time Is Everything, her label debut, Leva earns a spot in the lineage of great neo-traditional songwriters like Gillian Welch and Sarah Jarosz. And much like these singers, Leva finds inspiration in the past without being stifled by it. ​The T Sisters, ​Erika, Rachel, and Chloe have been singing and writing music together since childhood, and the lifetime of practice shows. Their sound represents a continuum of music, from traditional to pop influences, moments of breathtaking a cappella to swells of energetic indie Americana.​ ​The three sisters’ inventive songwriting is supported by their own acoustic instrumentation on guitar and banjo, along with upright bass​ and ​mandolin/guitar. Kelley and The Cowboys are a 4 piece band from NC, led by female vocalist Kelley Breiding. 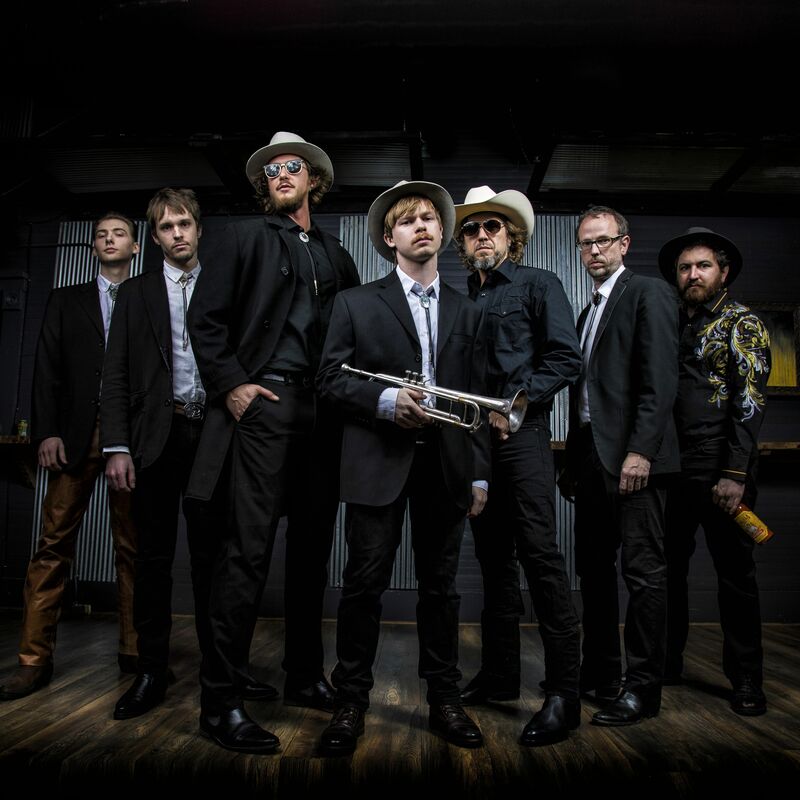 The band puts their signature sound on the old standards as well as original music, in a style influenced by early forms of western swing, rockabilly, country, and blues. Kelley and The Cowboys always excite the crowd with their high energy and amazing musicianship no matter what the musical tastes or age of the listeners may be. How do they do it? With Kelley's mesmerizing vocals and barn burner attitude, the nostalgic sound of Jimmy Tremor's arch-top guitar, Colby's thrilling feats on the upright bass, and Steve-O's status as a human metronome. When you pair all this together with a relentless energy for the crowd, it's a real dream for those who are out to scoot their boots. Having played the East coast club and festival since 2005, they have really made a name for themselves as one of the greatest dance bands around. In short, J.P. Harris plays Country Music. Not “Americana,” not “Roots,” “Folk,” or any other number of monikers used to describe a slew of spin-off genres; he plays from the foundation of these styles, the music that has influenced four generations of songwriters. In a world where prefixes have been added to the term “Country,” JP simply sticks to the old-fashioned sounds that have called to him. Rolling Stone named JP Harris one of fall 2014’s “Country Tours Not To Miss,” as well as one of “21 Must-See Country Acts at SXSW 2015.” When he isn’t touring, JP can usually be found repairing an old house, splitting wood in his backyard, or digging through the trash for useable refuse. 2018 Floyd Small Town Summer!